No matter how you felt about No Man's Sky at launch, I think we can all agree that Hello Games has gone above and beyond in bringing the once-troubled title closer to the original promise and even exceeding that vision in some ways. The studio has already released a plethora of substantial game-changing free updates but still have even more planned. In a recent blog post, the studio confirmed that the next chapter in the evolution of its procedural space exploration title will arrive in the form of No Man's Sky: Beyond which will again be free to all existing players. The studio promises three significant new features staggered throughout the Beyond update, with the first component being No Man's Sky Online. 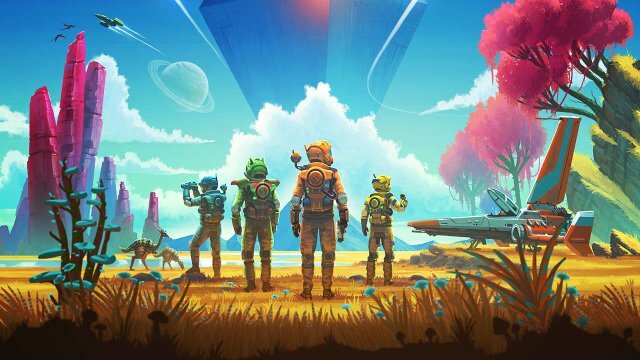 No Man's Sky Online features a "radical new social and multiplayer experience which empowers players everywhere in the universe to meet and play together." The studio is remaining tight-lipped on what the other two major components are yet, but will share more info in the coming weeks "when [they] know [they] can be precise." "Beyond will be our most ambitious chapter so far, and something we’ve been working ridiculously hard on. We’ll continue to support No Man’s Sky in this way for the foreseeable future." My hours played is already in the triple digits for No Man's Sky, and the upcoming update will likely see that number making another significant increase.